The Bl-5190 flying boat Santos Dumont was built by Blériot at Suresnes. On August 3, 1933, Lucien Bossoutrot accomplished the first flight of the Blériot 5190. 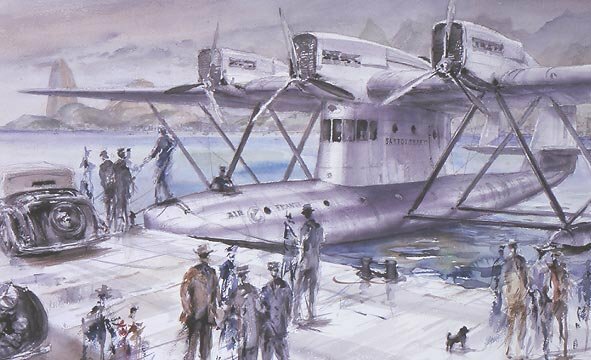 The flying boat weighted a hefty 22 tons at takeoff, and built to compete for transatlantic postal routes. The monoplane with metal structure was unconventional, even for the day. Its hull resembled a submarine more than an airplane. Its huge thick wing was mounted a top a conning tower like structure. 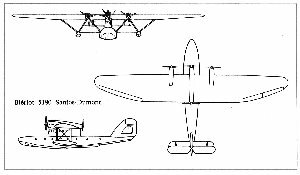 Two engines were mounted tandem in the central plane axis, while the two more were mounted on the leading edge of the wing. The plane completed two validation voyages by the end of 1934. 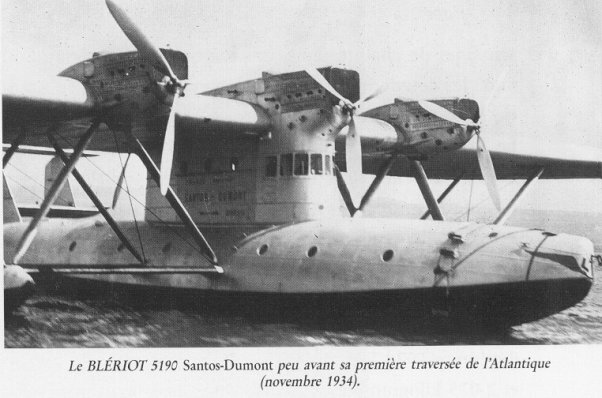 At the beginning of 1935, Santos Dumont was the only French transatlantic seaplane available, consequently, the State ordered three more BL 5190. From February to April 35, Santos Dumont carried mail from France to South America, at one crossing per week. The improved Farman 220 and the Cross of the South flying boats joined the air mail service run in the summer. Blériot borrowed heavy to tool up for the production. A few months later the French government unexpectedly terminated and another huge contract was without explanations or compensation. 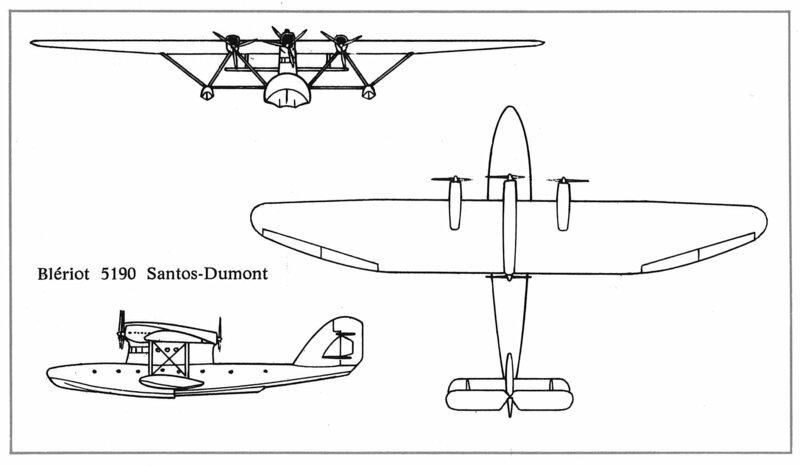 The heavily indebted Blériot Aéronautique was forced into bankruptcy and closed its workshops forever. The three BL 5190s remained in service and made its last Atlantic crossing in 1938. Compared with the British and American flying boats, the BL 5190 was obsolete when it entered service and had in not been for national pride, it would have retired years earlier. The small images below link to large picture files. They may take a while to load - especially with dial-up connections. Copyright 2007-2008. Jamie Dodson. All rights reserved.